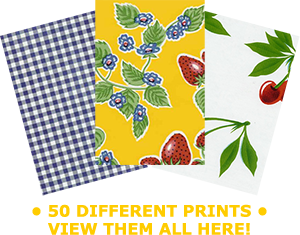 Cottage Home Decor creates handmade oilcloth totes and bags, tablecloths, placemats , table runners and aprons using dozens of vintage patterns on real oilcloth. We have almost 50 different prints and we love to put together custom orders. 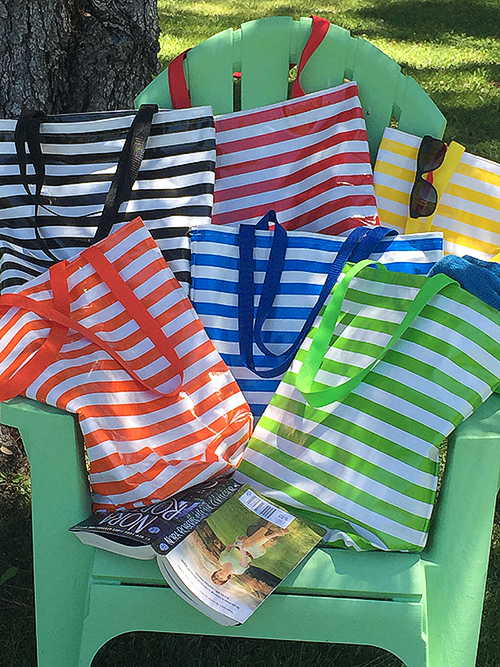 Our totes are completely washable and most are lined with contrasting fabrics and include pockets ~ perfect for going to grocery store, farmers’ market, the beach, picnicking or toting lunches or snacks. 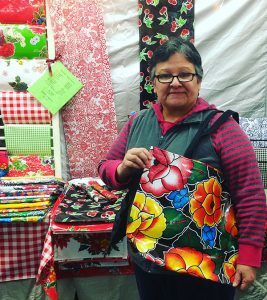 You can even order oilcloth by the yard for your own creative projects. Oilcloth is particularly easy to care for; just wipe and go. Parents tell us that they love the tablecloths and placemats for that reason. We make custom denim and Sunbrella slipcovers for indoor and outdoor furniture, as well as pillows and cushions. With decade of professional experience creating custom slipcovers, Cottage Home Decor can make the covers that best fit your needs & style. All our products are handmade with care in the U.S.A. Come find our products at our Sonoma Valley location, or order online! Just a note to say thanks for the wonderful tablecloth. It is fantastic and helps keep our table clean (and wipeable!!) at mealtimes with our 19 month old! It was a hard search to find a tablecloth big enough, and we are delighted with the end result. Many thanks also for the speedy delivery!